This is episode 5 of "The Dropout," a six-episode ABC Radio podcast about the fall of Elizabeth Holmes' startup, Theranos. If you haven't listened to episode 1, episode 2, episode 3 and episode 4 we advise that you do so first. By May 2016, things were not looking good for Elizabeth Holmes. Theranos was in triage mode. The president and COO, Ramesh "Sunny" Balwani, was leaving the company. Theranos said it was restructuring and that he was going to retire. But Balwani, who had also been in a romantic relationship with Holmes, wasn't only parting ways with Theranos. Holmes' brother, Christian Holmes, was asked about their relationship in a 2017 deposition he gave for an investor lawsuit against Theranos, obtained by ABC News and featured on "The Dropout" podcast. "Did your sister and Mr. Balwani stop living together before or after he left Theranos?" an attorney suing Theranos on behalf of investors asked Christian Holmes during his deposition. "I don't know his exact termination date, but it was right around the same time," Holmes replied. Attorney: "Do you think at the time there was a connection between him leaving the company and him and your sister stopping living together?" Holmes: "In the sense that there was an overhaul in the management structure and there was a reflection of that in her personal life, sure." In Elizabeth Holmes' 2017 deposition with the Securities and Exchange Commission, obtained by ABC News and featured on "The Dropout," Holmes said her and Balwani's decision to end their relationship was mutual. "Once we started working together, it was a very intense working relationship ... and the sort of romantic piece that was there at the very beginning died. I don't think it happened in one moment, but it was very clear that we were colleagues," Holmes said in her deposition. The relationship was over, and the adoring publicity for her and her startup had been replaced with intense skepticism. A series of explosive articles by Wall Street Journal investigative reporter John Carreyrou had pushed questions about whether Theranos' technology really worked into mainstream media coverage. But even with all this happening, venture capitalist Tim Draper, one of Holmes' earliest investors, passionately defended her in 2016 when he spoke to ABC News Chief Business, Technology and Economics Correspondent, and host of "The Dropout," Rebecca Jarvis. "I will say there are some very powerful people going after that poor woman, and she is doing such a great thing for humanity and we should all support her," Draper told Jarvis at the time. Draper vehemently defended Holmes, insisting that most everyone else had it terribly wrong. "She's changing health care as we know it ... with two drops of blood she runs this test through a microfluidic chamber and it runs 50 different blood tests," Draper told Jarvis. "You only need two drops of blood ... I've done it ... and it worked beautifully." Draper insisted that Holmes' competitors were "totally threatened" by Theranos. "Huge industries are going to be forced to change because of this business," he said. At the time, Draper said his results from Theranos were similar to those he had at his doctor's office and that he would continue to support Holmes. "I backed her," he said. "I'm in it for the game." ABC News recently reached out to Draper again, but requests for comment were not returned. It seemed Stanford professor Channing Robertson, one of Holmes' earliest cheerleaders, was also still supporting her despite the building controversy. Reed Kathrein, an attorney who sued Theranos on behalf of several investors, deposed Robertson in May 2018 and told Jarvis that as of Robertson's deposition, "He was still a believer in the company." "Of all the people in the world who would know, this is the guy [who] would have known the right questions to ask," Kathrein told Jarvis on "The Dropout." Kathrein pointed out that Holmes paid Robertson, who served as a board member, more money than any other Theranos employee. But he said Robertson's only role was to add credibility to the company. "She compensated him very, very well," Kathrein said. "From 2013 through 2017 she paid him more than anyone else at the company. ... From what I can tell, she paid him $500,000 a year for those four years." Robertson did not respond to requests for comment. By 2016, Holmes' group of supporters was shrinking. Walgreens had terminated its contract with Theranos in June 2016 and, eventually, sued for $140 million, claiming Theranos had "failed to meet the most basic quality standards and legal requirements of the contract," according to court filings. Walgreens and Theranos settled for an undisclosed sum with no finding or admission of liability. Investors and patients also were bringing their own class-action lawsuits. Regulators from The Centers for Medicare and Medicaid determined Theranos' quality controls were so deficient they posed an immediate risk to patient health and safety. Theranos had to void tens of thousands of its test results, but still managed to keep its doors open. But by summer 2017, the SEC was investigating Theranos, Holmes and Balwani. Over three days for eight hours each day, SEC attorneys interrogated Holmes and Balwani separately. Their claims about their secret, groundbreaking technology that was made to patients, to investors and to the public, were under fire. Under oath, Holmes' typical assured demeanor was replaced with timidness and she claimed ignorance to much of the goings on at the company. During her deposition, Holmes kept repeating the same thing -- variations of "I don't know specifically" or "I'm not sure" -- more than 660 times. It was something that former Theranos employee and senior software engineer Michael Craig found difficult to believe. "I just have to laugh -- like, this is somebody who definitely was not uninformed in the company," Craig told Jarvis on "The Dropout." Craig said he was astounded when he heard the part of Holmes' deposition where an SEC lawyer asked her about a specific text exchange with Balwani from Oct. 16, 2015 -- the day after Carreyrou's first article about Theranos ran in The Wall Street Journal. SEC attorney: "If you look at the third text message down ... from Mr. Balwani, he says, 'Okay. WAG freaking out. Lack of transparency.' Do you understand that "WAG" is Walgreens? SEC attorney: "What did you understand him to be referring to here?" Holmes: "I, I don't know. I mean, I, I don't, I'm sorry. I don't remember my text exchanges with Sunny from years ago." By October 2015, Holmes and Theranos were doing damage control, trying to salvage the deal with their only client, Walgreens, as well as the reputation of the company. Craig said the only way Holmes wouldn't remember what she meant that day in her text exchange with Balwani would be if "she had serious head trauma." Craig said the partnership with Walgreens "was everything." "They were their one customer," he said. "I think it's pretty convenient not to be able to remember something like that, under oath." Theranos had never told the drugstore giant about the surprise FDA inspection on its labs. Instead, Walgreens executives read about it in the press months afterward. An SEC attorney asked Holmes in her July 2017 deposition, "Were you not being transparent with Walgreens previously?" Holmes replied, "We did not tell them that the FDA had come to inspect because we thought we were to try to successfully resolve the engagement with FDA before communicating about it." Walgreens didn't officially terminate its relationship with Theranos until about eight months later, but within two weeks after Carreyrou's first article was published in 2015, Walgreens halted the expansion of its Theranos Wellness Centers. At the time, about 40 had been opened in California and Arizona. Holmes' carefully crafted narrative began to unravel during her deposition with SEC attorneys. So much of what she had been spreading for years about the capabilities of her startup's technology proved to be untrue, including things she had said in interviews like with Fortune's Roger Parloff, who wrote a cover story on Holmes in June 2014. SEC attorney: "Is the statement that Theranos currently offers more than 200, and is ramping up to offer more than 1,000, of the most commonly ordered blood diagnostic tests, all without the need for a syringe, was that statement correct?" Holmes: "Reading it now, I don't think it is." The exact quote in Parloff's Fortune article reads that Theranos "currently offers more than 200 -- and is ramping up to offer more than 1,000 -- of the most commonly ordered blood diagnostic tests, all without the need for a syringe." That article had played a big role in legitimizing Holmes and Theranos. Another claim from the Fortune article said Theranos "does not buy any analyzers from third parties." Balwani was questioned over the accuracy of that statement during his 2017 deposition with SEC attorneys. SEC attorney: "Was that a true statement in June of 2014?" Balwani: "No, it was not." At the time of the article's publication, Theranos was, in fact, running the majority of its tests on third party, commercially available machines. But that's not how Holmes presented the company's capability to Parloff. An SEC attorney asked Holmes during her 2017 deposition, "Did you tell Mr. Parloff that most of Theranos' tests were run on commercially available analyzers?" Holmes: "I -- I don't think so." SEC attorney: "Were you worried that if Mr. Parloff wrote an article mentioning only Theranos' manufactured devices that people would be given an inaccurate impression of how Theranos was conducting its patient testing?" Holmes: "Not at the time, because at the time I thought it was all about the aspiration and the vision. Looking back at it now, I absolutely wish we had handled our communications differently." Holmes also claimed it was David Boies, a Theranos board member and the company's outside legal counsel, who had initially pitched the story to Fortune. Boies, who once represented Harvey Weinstein, has a reputation as a master litigator. SEC attorney: "Did you reach out to Mr. Parloff?" Holmes: "My understanding is David reached out to him." Holmes: "Yes ... David's PR person told me that it was going to be a cover story and that it was going to be a big piece on Theranos." Parloff had worked with Boies on a number of other stories and said Holmes and her monumental mission convinced him this latest Boies' pitch was worth pursuing. "It was this very young woman, the dropout, she had founded the company she was supposed to be a great inventor ... everything about it was very, very exciting." Parloff told Jarvis on "The Dropout." Parloff said he arranged to visit Theranos headquarters in Palo Alto, California, to interview Holmes and spent three days with her. In her deposition to the SEC, Holmes said Boies played a sizeable role in helping Parloff with the article. SEC attorney: "Besides sitting for an interview with Mr. Parloff and providing documents to him, did you do anything else to help Mr. Parloff understand the company and write his article?" Holmes: "He spent a lot of time with David and David's PR person." But Parloff told ABC News he interacted mostly with Holmes when putting together his story. After three days of interviewing, he said there were multiple follow-up phone calls and emails. "My transcribed notes of her conversations alone came to about 42,000 words, and I didn't even transcribe the last couple of tapes," Parloff said. According to Parloff, Boies wasn't present for any of the conversations he had with Holmes, and he said he went through the fact-checking process for the story with Holmes alone. He said that neither she nor Theranos ever indicated anything was incorrect. "They never got back to me and said there's a mistake here ... there were no corrections," Parloff said. "On the contrary, George Shultz sent me a note saying how much he appreciated the fact that I had spent so much time and gotten it right." Boies did not respond to requests for comment. After Carreyrou's first Wall Street Journal article about Theranos came out Oct. 15, 2015, Parloff said he went back to Theranos with questions. "I wanted to do some sort of corrections, some sort of mea culpa," Parloff said. 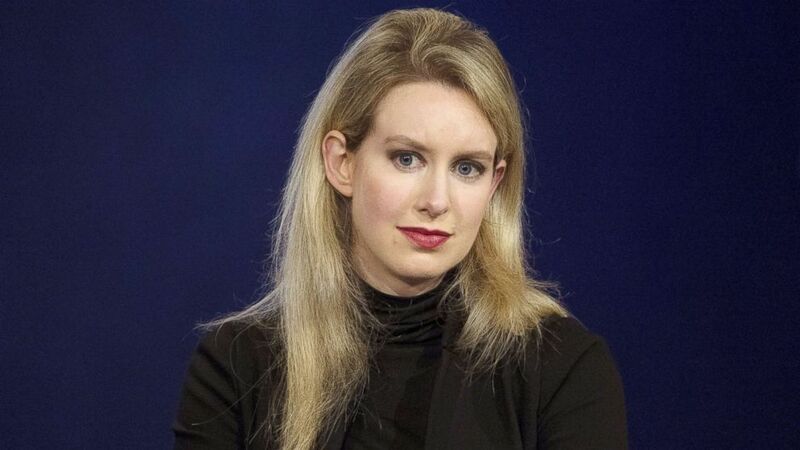 "The [Theranos] PR person I spoke to at that time ... said, you know, I reread your story. You don't have to change a thing. Everything's, everything's, everything's just exactly right the way it is." But he said he kept pressing Theranos for answers. "Eventually they gave me this statement acknowledging that certain things were inaccurate," Parloff said. "They tried to talk me into thinking well ... 'If you fiddle with the punctuation you've got it right.' Well, I can't fiddle with the punctuation." Parloff said that the incident changed the way he now covers stories as a journalist. "I made a lot of mistakes," he said. "I think I got caught up in this woman's story. I believed in her. You know, I began to drink the Kool-Aid. ... So yeah I've learned some rough lessons." "I think I asked the right questions, I just got the wrong answers," Parloff continued. "That's what I think at this point. I mean I do think I was culpable. I was credulous and I was taken with her story and I didn't pursue certain leads that I could have, but I think I asked her the right questions." By 2017, when SEC investigators got to Holmes and Balwani, Parloff had already published a mea culpa and a correction in Fortune, but the damage was done. His and so many other stories like it had made the rounds, potentially convincing patients to take Theranos tests and doctors to recommend them. Theranos had even used Parloff's article to pitch investors, including Rupert Murdoch, who put $125 million into the company. Holmes gave him a copy during their first meeting at his ranch near San Francisco. But during her SEC deposition, Holmes claimed she didn't remember that. SEC attorney: "Were you aware that this article was included in Mr. Murdoch's binder [of materials Theranos sent to potential investors]?" Holmes: "I am now. I don't know at the time if I was." SEC Attorney: "Were you aware that this article was included in binders of materials that Theranos sent to other investors?" There are lots of other important revelations in the depositions where the truth doesn't match what Theranos was pedaling at the time. Another claim Holmes had made was that her signature technology could run any blood test -- there are hundreds of possible tests. It was what she and the company had pitched to Walgreens in 2010. SEC attorney: "How many tests could it run at that time in 2010? Holmes: "I don't know exactly what the number was. I think ... there was probably tens of tests." SEC attorney: "So when you say 'tens of tests,' you mean something less than 100?" Just three months before Theranos started rolling out its technology at Walgreens in July 2013, Holmes was getting emails from employees saying their demo tests were returning a number of inaccuracies. But Theranos was leaving them off the test demonstration reports. Holmes: "My understanding, generally, is if anyone was reviewing the data had a concern about the data, don't include it on the report." SEC attorney: "But if some of the results came back incorrect, how did you know that the results that he did report were correct? Holmes: "I don't know. I didn't oversee the labs. I trusted my team to make those decisions." Then in December 2014, as Holmes was hyping plans to expand Theranos Wellness Centers into thousands more Walgreens, she told an auditorium full of people at a Fortune conference that within five years a Theranos device would be "within 5 miles of every American's home." But in reality, only three weeks before that Fortune conference, the deal with Walgreens was falling apart and Holmes had received a mayday text from Balwani. SEC attorney: "There's an SMS message on November 19, 2014. ... And he [Balwani] says, 'We can't scale with WAG' ... and WAG you understand is Walgreens?" SEC attorney: "OK. And then in his next text message he says, 'They are terrible.' ... Did you agree with Sunny's assessment in November of 2014 that Walgreens was terrible?" Holmes: "Sunny uses very strong words to express things. ... I think I, just reading this now, interpret it as I agreed that we should start engaging with the other retail opportunities that we had." Theranos Wellness Centers never made it into all of Walgreens' 8,200 stores. In fact, it didn't come anywhere close to that: 41 stores. During her deposition, Holmes said, "We couldn't make the relationship successful beyond that." During her deposition, the SEC interrogated her on the dramatic claims she had allegedly made to investors, Walgreens and Theranos' board members, including claims that Theranos devices were being used by hospitals and the military in active combat zones. SEC attorney: "Was Theranos' technology deployed in emergency rooms, hospitals and provider offices?" SEC attorney: "Was a Theranos-manufactured device ever deployed in the battlefield? SEC attorney: "Was it ever deployed in a medevac helicopter?" In so many instances during Holmes' deposition, there seemed to be no distinction between aspiration and reality. Despite the fact Holmes said she "doesn't know" or "isn't sure" about something hundreds of times, Kathrein, who sued Theranos on behalf of investors, said it wasn't possible the company's founder and CEO was blind to everything going on. "She knew what was going on," Kathrein told Jarvis on "The Dropout." "Sunny and Elizabeth ... they knew it was being run on on third-party machines. They knew it wasn't validated for use on consumers or use on patients. They knew. That's unquestionable." On March 14, 2018, the SEC charged Balwani and Holmes with running an elaborate, years-long fraud in which they exaggerated or made false statements about the company's technology, their business and their financial performance. "Mr. Balwani pled not guilty because he is not guilty. ... We're gearing up to vigorously fight these charges," Jeff Coopersmith, his attorney, told reporters as they were leaving court. Holmes settled with the SEC. She was stripped of her control of Theranos, banned from serving as an officer or director of a public company for 10 years, and agreed to pay a $500,000 fine. But she didn't admit any wrongdoing. Criminal charges from the Department of Justice followed a few months later -- June 15. Holmes and Balwani each were charged with nine counts of wire fraud and two counts of conspiracy to commit wire fraud, to which they both pleaded not guilty. Holmes stepped down as CEO of Theranos that day. The charges could put them in jail for decades. A trial date has not yet been set. By September 2018, the company officially was out of business, but the story was far from over. While Holmes and her counsel did not respond to our repeated requests for an interview, Balwani's attorney, Coopersmith, agreed to join ABC News' Rebecca Jarvis for his first in-depth conversation. Coopersmith said if he had to give Balwani a grade for the job he did at Theranos, he "would give him an A -plus for dedication and effort." "But, obviously, when we look at this after the after the fact, it has been a business failure," he added. "And you know Mr. Balwani is very sorry about that ... but that is not fraud." In Coopersmith's account, Balwani has been misunderstood. "Sunny Balwani is an extraordinary person," Coopersmith continued. "He was born in Pakistan to a Hindu family, and eventually the family had to move to India because being a Hindu in a mostly all-Muslim country of Pakistan was very difficult. When he got to the United States, he literally kissed the ground and studied at the University of Texas, where he got a degree in computer science. Everything he ever did in his life he got through earning it through incredibly hard work. He was the most hard working person pretty much I've ever met." When Balwani joined Theranos in 2009 as the COO and president, he oversaw the lab operations despite not having a background in laboratory science. "He oversaw the lab operations from a business perspective," Coppersmith said. "He wasn't a lab scientist ... and he knew that, and that's why he hired PhDs and MDs to make sure the lab was running scientifically." Coopersmith said Balwani became involved in Theranos for personal reasons. "His father tragically died at a pretty young age of a heart attack in India, and Mr. Balwani felt that the the healthcare was not what it should have been -- that if he had had the right test, if they had diagnosed the problem, his dad might still be alive today," he said. When Balwani joined the company, he and Holmes had been in a romantic relationship for a number of years already, according to their depositions, and it is something they admittedly did not tell investors at the time they were investing in Theranos. It was also something concealed from some board members and employees. "I don't think that investors would care one way or the other whether there was a relationship -- that, they kept professional," Coopersmith said. Holmes' brother, Christian Holmes, said the couple stopped living together when Balwani left Theranos, but Coopersmith said the reason Balwani left was "a burnout factor." "He had been wanting to leave for some time," Coopersmith said. "When he was working there, he worked 24/7, and I think there was a burnout factor and it was time for him to move on." When asked if Balwani felt duped by Holmes, Coopersmith adamantly said, "No." "That's not what is going on here," he continued. "Mr. Balwani believed in Elizabeth Holmes and her vision for the company. He tried to execute that plan with her to make it a success. But, no, he's not saying that he was duped." Coopersmith also said Balwani doesn't hold Holmes responsible. "They made mistakes along the way in executing a business plan," he said. In both Holmes' and Balwani's SEC depositions, they admitted Theranos was mostly relying on machines they'd purchased from other companies to run their tests but at that time Walgreens believed Theranos was using its own cutting-edge technology. Coopersmith said Theranos needed to use other machines because of the amount of samples coming from Walgreens. "If you have lots of samples being collected from Walgreens stores and going to a central laboratory, you need machines that are going to have higher throughput," he said. Balwani said Theranos machines weren't ready for commercial testing. Theranos machines could only run about 15 tests and only one at a time. Therefore, in order to process all the tests being run at Walgreens, the company had to purchase commercially available third-party machines, some of which they modified. During their separate 2017 depositions, the SEC asked both Balwani and Holmes why they concealed that information. SEC attorney: "Why wouldn't you tell Walgreens? I mean, Walgreens was Theranos' most important business partner at the time. Don't you think that Walgreens would have wanted to know what device you were using to process these samples?" Holmes: "I am not aware that they were very focused on what hardware that we were using." But Balwani cited a different reason. SEC attorney: "Did Theranos ever disclose to Walgreens what devices it was use -- using to run different test types?" Balwani: "No. We would never do that." Balwani: "Well there was a lot of trade secrets here." But when asked why Theranos didn't reveal it was using third-party machines, what Balwani's attorney said directly contradicts what Balwani said under oath. "I think this was no secret," Coopersmith said. "There was no secret that Theranos was doing traditional blood testing." While Theranos was performing venous and finger-stick blood testing at Walgreens, Holmes said under oath that a venous draw's test did not indicate the type of device that Theranos was using. "We did also sometimes put the venous draw onto our proprietary platforms, depending on what the test order was and what period of time it was," Holmes said in her deposition. Not only did Holmes and Balwani both admit to not telling Walgreens they were using third-party machines, Theranos' advertising at the time also indicated its testing only needed "one drop of blood." Coopersmith's response to the misleading marketing campaign was that "it never said that's the only way it would go." Theranos also boasted that its tests were more accurate, when in fact, in 2016, the company had to void two years of testing between 2013 and 2015, which tallied up to tens of thousands of tests. "From Mr. Balwani's perspective, he had to rely on his scientists who were signing off on reports and doing quality control and proficiency testing to try to make sure there weren't mistakes," Coopersmith said. According to Coopersmith, Balwani believed the technology worked because "his scientific team was telling him it worked," but many former employees told ABC News that the scientists were some of the employees afraid of him. Former employee Erika Cheung worked in Theranos's CLIA lab processing patient samples and said that when she tried to tell Balwani quality controls were failing "at one point what seemed almost every day" he became enraged. "He just sort of lost it," Cheung told Jarvis on "The Dropout" podcast. "He said, 'What makes you think that we have problems? ... I'm tired of people coming in here and starting fires where there are no fires.'" Coopersmith said that the notion that Theranos employees were afraid of Balwani was inaccurate. Other former employees had told ABC News Balwani was known as "the enforcer" at Theranos. In one instance, during an all-hands meeting, former employees claimed Balwani said employees should be prepared to show "complete devotion" and unmitigated loyalty or "get the ---- out." When pressed about that instance, Coopersmith said, "Mr. Balwani was very passionate about Theranos and its technology, and he wanted it to succeed with all his heart." Coopersmith also responded to the scathing 2016 Centers for Medicare and Medicaid Services report that eventually led federal regulators to shut down the Theranos lab. "CMS came in, in the harsh light of a media spotlight on Theranos and allegations by The Wall Street Journal that there was some fraud going on," Coopersmith told Jarvis. "As it turned out, a lot of the reporting in The Wall Street Journal, it turned out to be completely false." Carreyrou and The Wall Street Journal firmly stand by his reporting. Coopersmith said whistleblower Tyler Shultz, one of Carreyrou's sources quoted in his first Theranos article, made false claims. "For example, the Wall Street Journal report relies heavily on a particular employee named Tyler Shultz, who was George Shultz's grandson," Coopersmith said, referring to the former secretary of state. "Mr. Shultz's testimony under oath, his claims about failures in Theranos' proficiency testing, he lied about that. He wasn't in a position to know what proficiency testing was going on." Nine days after Coopersmith's interview with ABC News, his office emailed us a transcript from a deposition with Shultz, from an investor lawsuit filed against Theranos. In it, Shultz is asked about an exchange he had with Theranos vice president Dr. Daniel Young regarding proficiency testing data, or "PT data," and whether Shultz saw a problem or heard about it from other employees. In the transcript, an attorney said to Shultz, "Dr. Young begins by saying: 'By the way, I would also like to know if you have actually seen the PT data that you have mentioned for vitamin D or someone just mentioned them in passing' ... And then can you read the second sentence of your response to him." Shultz: "And I just heard about PT data in passing. I have not seen it." Attorney: "That was untrue, correct?" Shultz: "Yeah, so that was not true." Attorney: "So you lied to Dr. Young when he asked you that question?" It was Shultz's colleague Erika Cheung who said she'd witnessed proficiency test problems first-hand. Theranos, she said, was cherry-picking the data. "I would put up error-reporting sheets by the machines and it would be taken down," Cheung said. She said a manager even warned her not to speak up about the problems she saw. "People didn't want to actually know the number of times that we were having issues because they were starting to realize we were having them so frequently," Cheung said. So she shared the information with Shultz, who was in a unique position because of his ties to Holmes and the board of directors. Shultz said he took the information from Cheung to Holmes, along with a number of other issues he said he personally witnessed, hoping to make a difference and improve things at Theranos. "I think that at the end of the day, everyone was concerned that we were not giving people the right results," Shultz said in his deposition. Attorney: "Did you graduate with distinction?" Attorney: "You chuckled when I asked that question? Why?" Shultz: "Yeah. Because my grades senior year were a lot worse than my grades the previous three years because I was taking so many classes, and I already had this job locked up at Theranos, so I decided to focus my attention elsewhere." Although Coopersmith's office is pointing to the fact that Shultz said he let his grades slip as a way to discredit him, when CMS investigated Theranos it found enough problems that eventually led to the CLIA lab being closed. "I think Mr. Balwani did everything he could to make sure that that laboratory was running as well as it could run," Coopersmith told ABC News. "When CMS came in, in 2015, in the harsh light of the spotlight that had been shown on Theranos, they found some deficiencies." And although Theranos eventually had to void two years of testing, Coopersmith said Balwani was "doing everything he could to make sure the testing was accurate, by hiring the very best people." "I think though, the unfortunate thing is that in our system of healthcare there's mistakes that are made every day. There's no perfect answer," Coopersmith said, "I think, eventually, the company would have been a great success if it had been allowed to run." Holmes and her counsel did not respond to ABC News' repeated requests for comment.